“The Commons is both a place and a concept. The concept came first, borne from a global movement called coworking. We were looking for a place to work, knowing that merely finding office space was not our goal. We are collaborators, ‘connectors’ of people who have a healthy curiosity for a myriad of subjects but mostly for the synergy that can only be found in the interaction with other people. We looked at some great coworking spaces. What was missing for us was our community – not so much figuratively, but literally. That’s when we found our uncommon workplace. Smack dab in the middle of the Lake Minnetonka area where we have lived and served for nearly three decades. A space in the unique town of Excelsior, energized by Lake Minnetonka across the street and an environment that embraces the needs of a thriving community. Six years later, we have expanded our footprint, and are focusing on another of the West Metro’s gems, Hopkins. This charming community is a small town with all the conveniences of the city. Located in the heart of Hopkins on Mainstreet, we are central to many restaurants and local shopping spots and are part of the dynamic resurgence of this 125 year-old town. So, join us! Whether you’re looking for a place to hang your ‘work-hat’, conduct a meeting (whether in-person or virtually), or throw a party or special event. 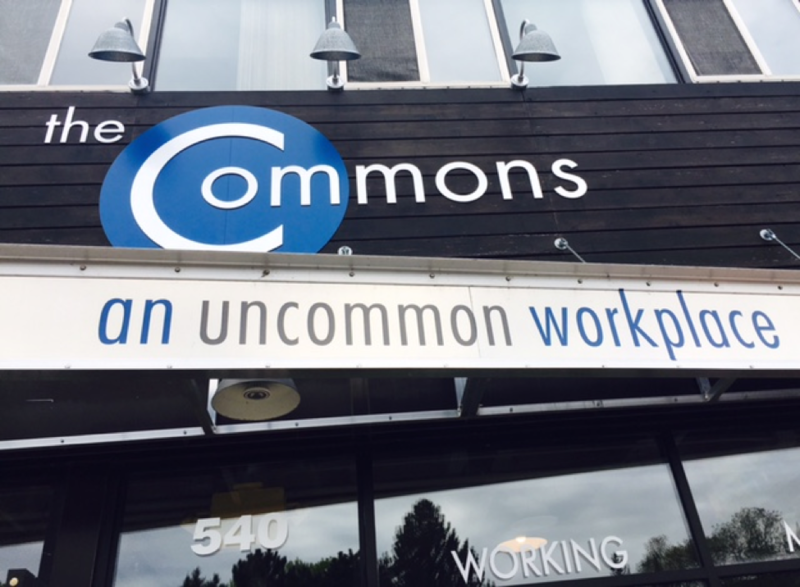 The Commons is also a place for the community to drop in for a lecture, speaker or a meeting of the minds.